Because of the Pro Optic Budget Auto Extension Tube Set , I was able to get close to my subject by cutting the minimum focus distance of the Canon EF 85mm f/1.8 USM . In post, I use the usual, Lightroom, Photoshop CC and my favorite plugin from Topaz Labs, Topaz Detail. 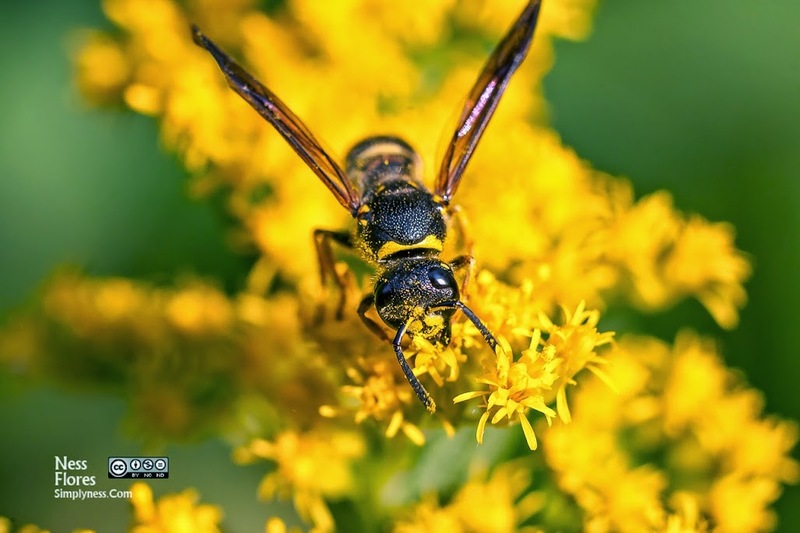 This entry was posted in More Photography Tips and tagged in bee, close up, Flowers, macro, Nature.